Solenoid / shut-off valve for the primary idle jet on the Weber DGV, DGEV and DGAV series carburetors. 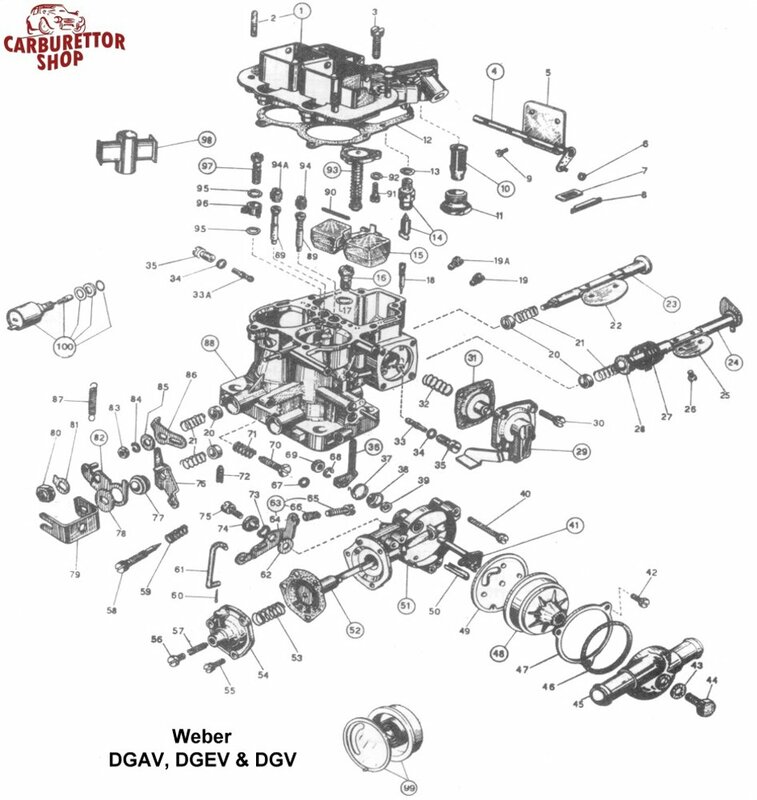 Please note that not every DGEV, DGAV or DGV carburetor is equipped with this solenoid. This is item number 100 in the drawing.